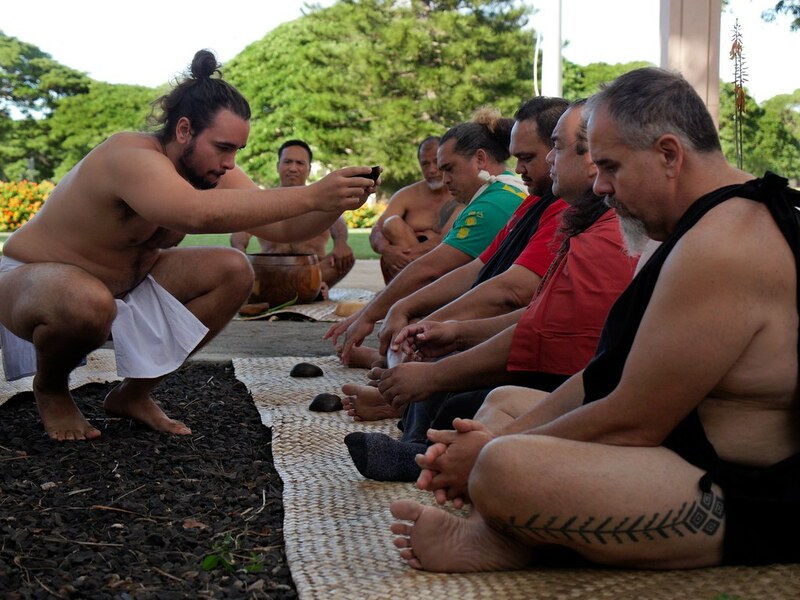 Seated, from left, Jon Osorio, Punihei Lipe and Willy Kauai receive a ceremonial Hawaiian kava drink from UH Mānoa student Kaipu Baker near Bachman Hall. 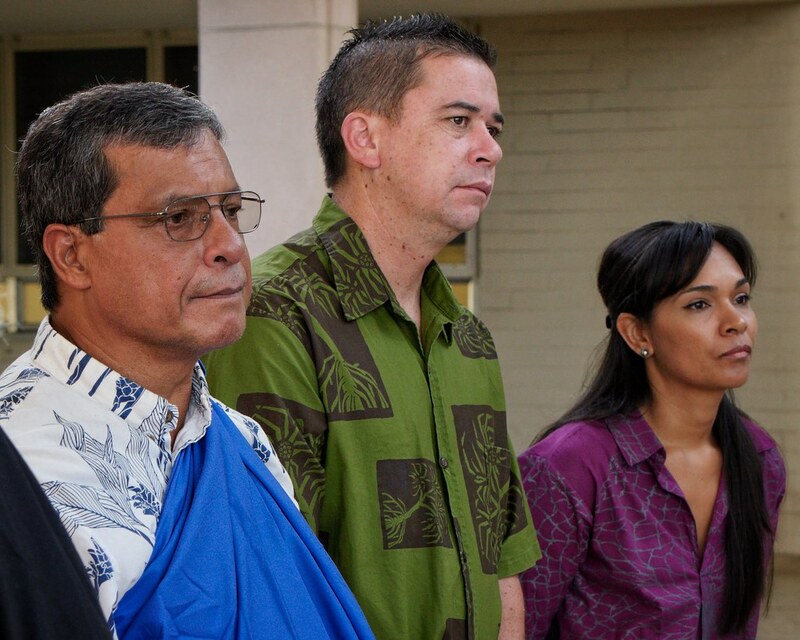 Lā Kūʻokoʻa Hawaiian Independence Day, was commemorated on the University of Hawaiʻi at Mānoa campus on November 28 with a number of events. 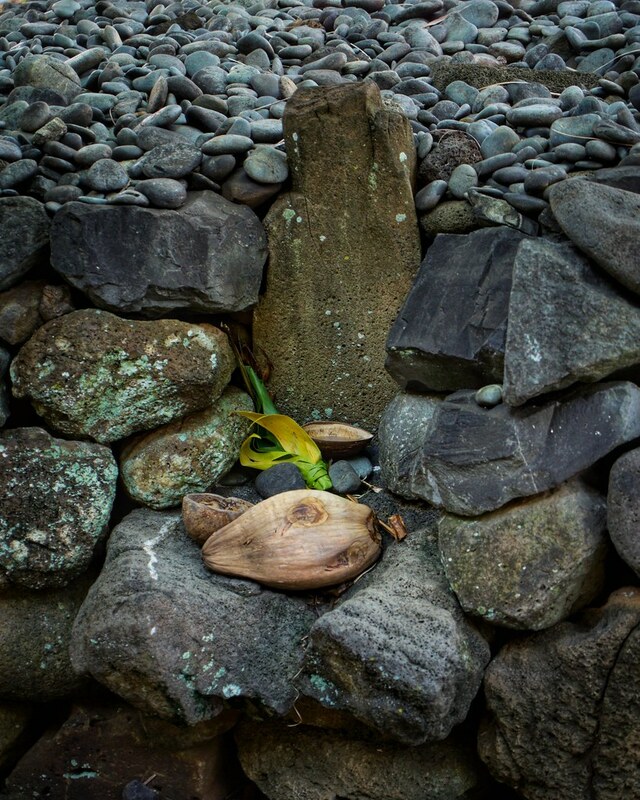 On the same day in 1843, Great Britain and France signed a proclamation recognizing the independence and sovereignty of the Hawaiian nation. 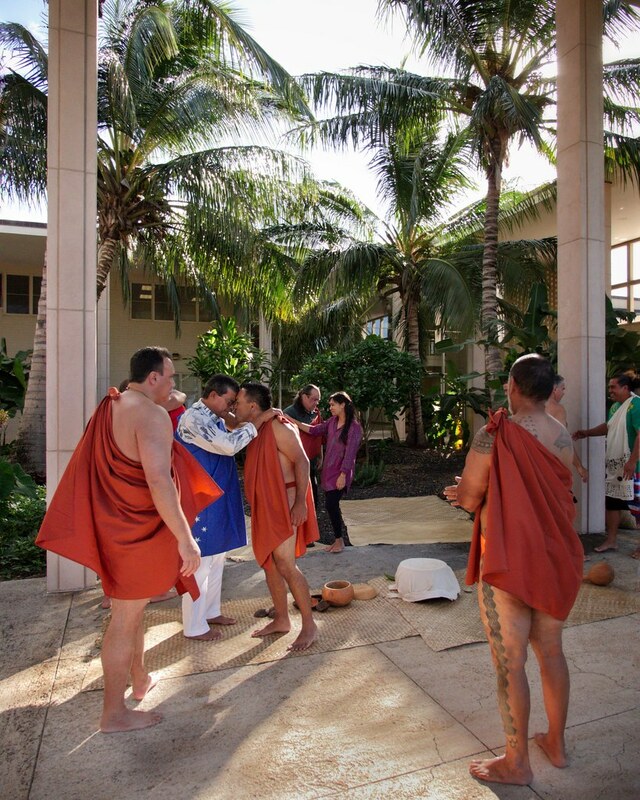 To mark the 175th anniversary, the morning started with a ceremonial event at an ahu (Hawaiian shrine) on the Mānoa campus led by Hale Mua o Kūaliʻi on behalf of Hawaiʻinuiākea School of Hawaiian Knowledge Dean Jonathan Osorio and PhD student Kalaniākea Wilson. 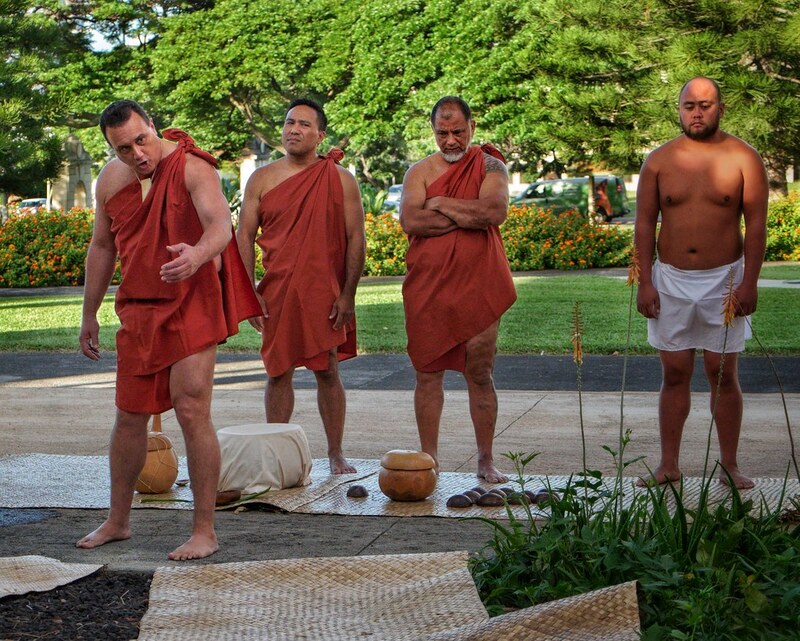 The gathering of Hawaiian leaders conducted an ʻawa (Hawaiian kava drink) ceremony near Bachman Hall to recognize the kūpuna who built the ahu and to remember their wise instructions in moving forward. 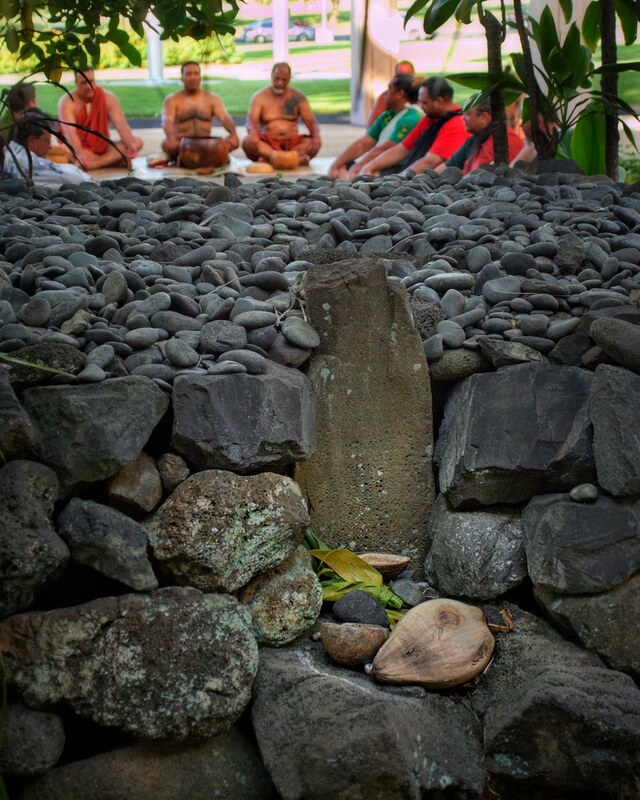 The sacred ahu near Bachman. 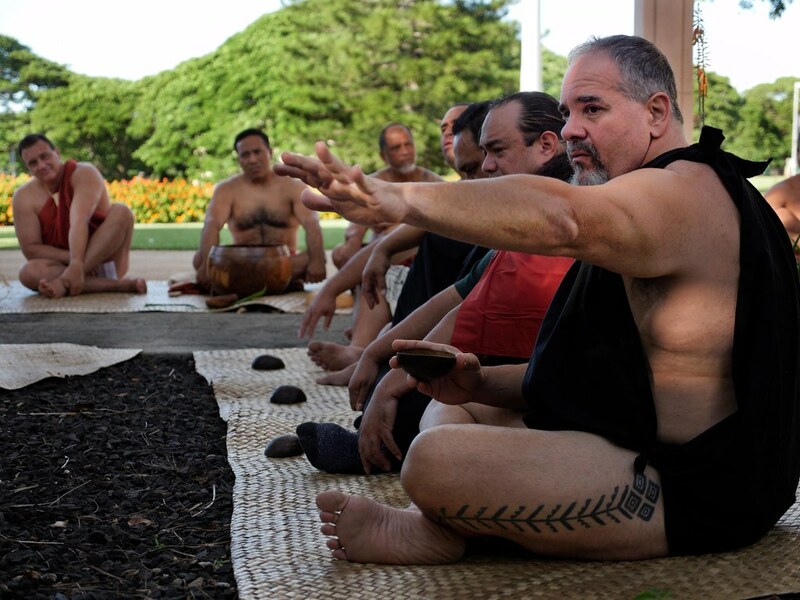 A shirt screen-printing activity was held at mid-day in the Campus Center courtyard by Native Hawaiian Student Services titled, “What does Ea mean to you?” Ea has multiple meanings, including sovereignty, rule, independence, life, air, breath and to rise. 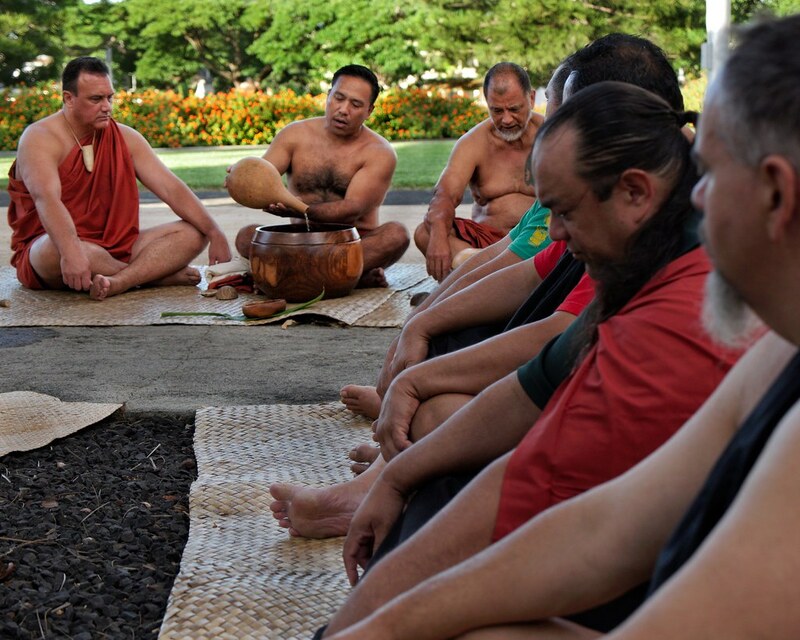 The final Lā Kūʻokoʻa event at the Hemenway Hall courtyard was a panel discussion on ʻōlelo Hawaiʻi featuring noted Hawaiian educators Kaliko Baker, Kahikina de Silva and Keʻalaanuhea Ah Mook Sang, along with music and performances.